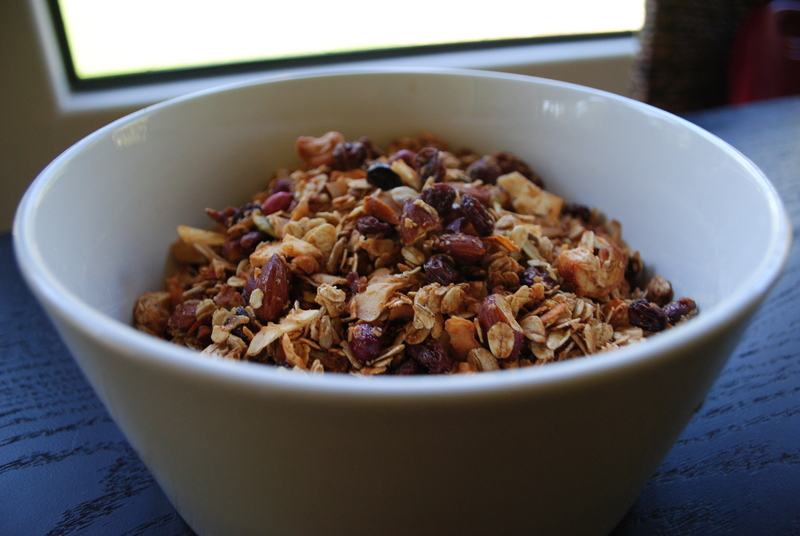 I love granola that is lightly spiced and sweetened with lots of nuts and fruit. And this recipe fits the bill and is super simple. 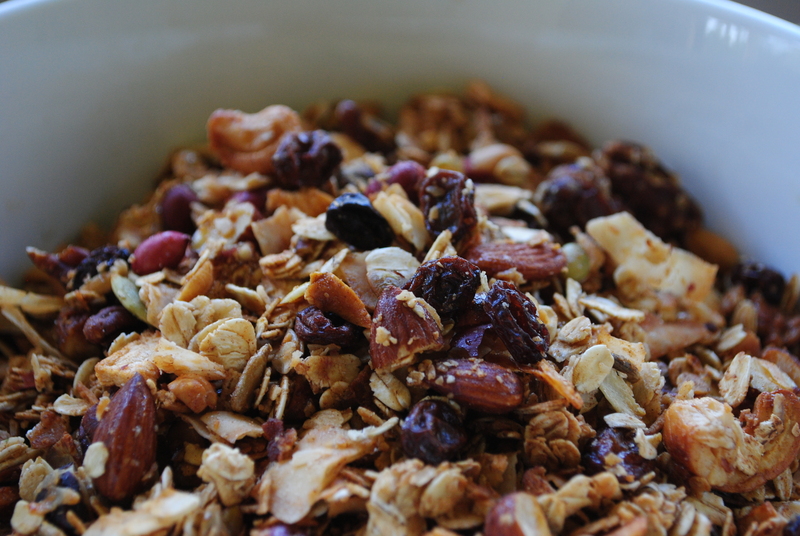 No reason to buy granola anymore, especially as this is tastes far better than any I’ve bought. Mix the oatmeal, nuts, fruit with the cinnamon and salt. Add the honey and combine well. Spread on a nonstick pan in a thin even layer. Bake at 350 for 5-7 minutes. It should be golden brown. I had to carefully stir mine, so as to get even roasting. In a medium saucepan heat 4 cups of milk. Bring the milk to boil and then turn off the flame and let it rest. In another saucepan, melt the butter. Add the rice grains and stir to coat. Pour in enough hot milk to cover the rice. Stir with a wooden spoon while keeping the flame over the lowest setting. Allow the rice to absorb all the milk before adding just enough again to cover the rice. Repeat this process until all the milk is used up. (this takes a while- but it is so worth it!, enjoy a cup of tea, read, relax and let the milk and rice do its magic). When you add the last bit of milk, also incorporate the sugar, salt, spices and vanilla. I let it cook till it was the consistency of chunky soup as I grew up with Kheer that was of a thicker consistency. The pudding is a beautiful golden brown color. It’s absolutely divine! Note: Adapted from Country Gourmet in Sunnyvale, Calif.
1. In a large bowl, sift together the all-purpose flour, wheat flour, cornmeal, salt, cinnamon, baking powder and baking soda. 2. In a blender, purée the egg whites, honey, vanilla, buttermilk and melted butter until thoroughly combined, about 30 seconds. 3. Gently whisk the dry and liquid ingredients together to form a batter. This makes about 5 cups batter. 4. Heat a griddle or large skillet over medium-low heat. Ladle 1/4th-cups of the batter to form each pancake. Cook until puffed and golden brown, about 1 1/2 to 2 minutes on each side. 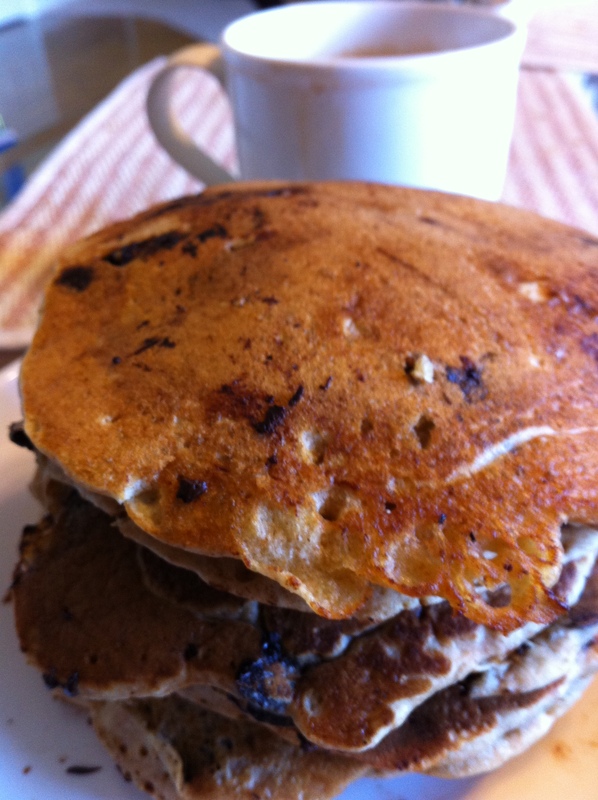 Each of 10 pancakes: 185 calories; 6 grams protein; 29 grams carbohydrates; 2 grams fiber; 6 grams fat; 3 grams saturated fat; 14 mg. cholesterol; 8 grams sugar; 527 mg. sodium.